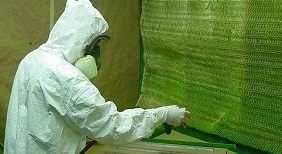 Protect your aerospace and defense products and other metal surfaces with top-quality coatings and finishes from POLY-METAL FINISHING INC.
PMF capabilities also include Sulfuric Anodize,Chromic Anodize, Phosphoric Anodize, Hardcoat Anodize FPL Etch and Pre-Bond Primiers. All major processes used in the Aerospace and Defense Industries. 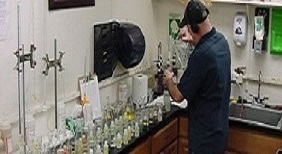 Allow the team from POLY-METAL FINISHING INC. to use their knowledge and expertise to cater to your unique needs, no matter the size of your project or extent of the work. 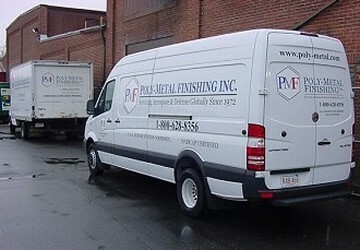 Contact PMF in Springfield, Massachusetts, to begin the Poly-Metal Finishing experience. This privacy notice discloses the privacy practices for Poly-Metal.net and applies solely to information collected by this web site. Only employees who need the information to perform a specific job (for example, billing or customer service, quoting) are granted access to personally identifiable information. The computers/servers in which we store personally identifiable information are kept in a secure environment.